I’m on the Front Page of Beckett Online! 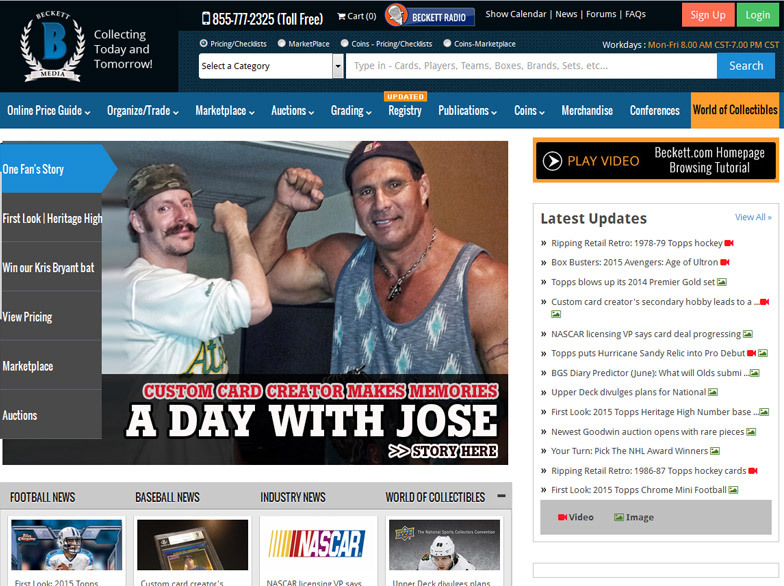 Sure enough, front and center, a big picture of the ‘stache doing the bash with Canseco! I’m sure it’ll be gone in the next day or two, but for now, this screenshot shall live forever! BWAHAHHAAHAHA! Thanks man! Still pumped about it!